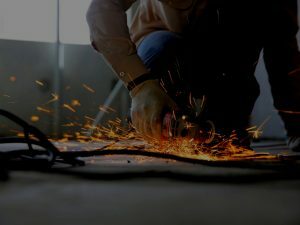 We often associate local industrial gasses and welding wire suppliers with large welding companies, but that doesn’t mean they don’t have supplies for smaller projects and hobby welders. Your supplier of industrial gasses and welding wire in Toronto is equipped to serve a wide range of projects from the largest industrial welding job to the smaller home and hobby welding jobs. That’s right! You don’t have to be a huge business to benefit from your local industrial gasses and welding wire supplier. They also know that small is relative; birthday parties and bike repairs may seem like small jobs, but not to your child or family member. Here are some of the many ways your supplier can help with individual and hobby projects that mean so much to all of us. Propane For Your Home – Whether you have a generator, a gas fireplace or fire pit, a backyard grill or camping equipment, your local supplier of industrial gasses and welding wire in Toronto can keep your generator pumping, your fireplaces toasty and your grills fired up. Helium For Big Events And Parties – Are you having a party? Are you hosting a wedding or a gala? Whether you’re the birthday boy or girl, an event planner, or the bride and groom, you can to rent a tank of helium to create the balloon-scape of a lifetime. Make balloon arches, centerpieces, tag VIP chairs and much more! 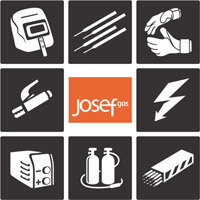 And with trusted suppliers, like JosefGas, you don’t need an industrial account! Small Or Hobby Welding Jobs – Small welding jobs range from local automotive shops, welding your child’s go-cart frame, to dollhouse wiring. Your local supplier of industrial gasses and welding wire in Toronto offers welding supplies, singular gasses, blends and welding wire for welding jobs of every size. Here at JosefGas, we don’t just offer supplies, we offer, training, welding safety information and blogs for every kind of welding job. We know how big these projects can be to you and your family. We encourage you to check out our website or contact us for help with supplies, advice, or our extensive database of blogs, articles and helpful material.